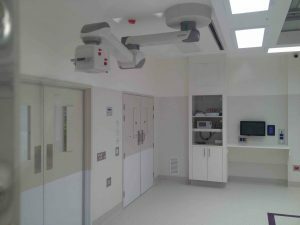 Today, Midland Lead Australia supplies premium grade lead doors right across Australia be it for the purpose of medical radiation or sound proofing. The main purpose of the radiation shielding is to prevent patients and health personnel from exposure of the stray radiation rays. Why lead door is a requirement? Lead is a requirement in the field of radiation shielding due to its high density and high atomic mass which is effective in stopping gamma rays and x-rays. Failure to provide safe radiation shielding room could result in DNA damage and also lead to adverse effect on human body. Our radiation doors are 100% Australian made and custom made to order. At Midland Lead Australia, we use products of the highest quality ensuring that our customers get the best material sourced doors. Depending on the radiation equipment placed in the room and specification provided by the physicist should provide clear indication of exact lead thickness requirement. Midland Lead Australia supplies lead ranging from 0.44mm to 2.24mm for radiation shielding purpose. However, custom lead thickness size requirement can also be provided and achieved by Midland Lead Australia. Furthermore, viewing panel of lead thickness 2.24mm can also be added to the lead door with metal lead lined frame to suit door size. The radiation door metal frame is designed to suit door and effective in preventing any radiation leakage. Also, depending on client’s requirements, lead door/radiation door can be either single door or rebated doors (2 X doors). The lead is heat pressed on the door to make it radiation safe and bonded on to inner side of the timber – client’s material of choice. Midland Lead Australia supplies lead doors right across Australia. Call us today to enquire about lead lined door.